‘cross channel being done well’ — a continuous experience across brands, across format and across devices that is completely made to order. To build a strong brand, it is imperative to understand the customer decision-making process. In this section, we will define shopper marketing. We will define the customer decision-making process as being available 24 hours a day 7 days a week, in an omni-channel world. What is “shopper” marketing? Today's brands realize that to be the brand of choice, they must understand what happens when a consumer becomes a shopper. A shopper is a consumer that is ready to make a purchase. Shopper marketing considers the decision making process from a shopper point-of-view, understanding that consumers or shoppers will make impulse purchase decisions. Consumers buy on habit, emotion, and intuition. Their decisions are based on what they see and what they don't see as the shopping process is contingent on what is personally relevant to them. Who am I shopping for? When do I use it? To attract a shopper, the brand has to be in the shopper's life to be considered by the shopper. The shopping process is a multi-stage/multi-channeled process. It is not as simple as going into the store and making a purchase. Many different stages take place. In phase one of the buying process, the consumer has to determine they have a need, and that this need can be satisfied by making a purchase. Now they become a shopper. Once they determine they have a need that can be satisfied by making a purchase, they need to identify products that will fulfill that need. They will seek information to help them evaluate those products. Products are purchased after they make the evaluation. Once purchased, shoppers use the product, they relate to the product, determine if the product solved their problem, and then decide whether they're going to repurchase the product. They also conclude whether they will tell others about their satisfaction or dissatisfaction with the product. These are the different stages of the buying process. In today's world, this process is no longer done offline as it is part of an omni channel process. The best customer experience typically comes when a company can act as a single seamless entity across the different steps of customer involvement. A company must improve the measures that most need improvement, and not waste resources on steps that are less important to customers. Observing consumers as they shop or use a product is often deeply revealing about their behaviors and motivations. This kind of research is closely tied to behavioral economics, a school of thought that seeks to understand the way consumers actually make decisions. It’s also a pillar of design thinking, which puts the customer at the center of a system of interactions with the brand. For more insights on understanding your customers visit new-insights a McKinsey company publication. More so than ever, prospective customers will bounce if they’re confused or experience too much friction along the customer journey. This soundcloud podcast provides information from an interview with Customer Experience expert Annette Franz. It discusses tactics on how to create a customer journey map that will help you lock down the return on investment that your company is looking to achieve. Journey Maps also provide information on customer touch points where the company can direct their marketing tools to either gain new customers or keep current ones. Google Ventures UX research partner, Michael Margolis, suggests this pattern in consumer decision–making. Discover: Customers first encounter your product when still looking at competitors. Select: Customers choose a set of options that meet their initial screening. Dig in: Customers drill into the details. Validate: Customers when close to a purchase decision look for confirmation or red flags. Try: Customers kick the tires and decide whether it makes sense for them. For more insight from Google Ventures visit this FastCompany article. Or this excellent McKinsey & Company article for Insights on the consumer decision journey. The traditional sales funnel concept fails to capture all the touch points and key buying factors resulting from the explosion of product choices and digital channels, coupled with the emergence of an increasingly discerning, well-informed consumer. A more sophisticated approach is required to help marketers navigate this environment, which is less linear and more complicated than the funnel suggests. You may discover you have a need for a smartphone. You might consider looking for information about the brand or the different brands you're considering online, in a store or through advertising. All these stages can occur in various media, either online or offline. In today's world, the buying process or the shopping process can take place 24/7. During the day, you may choose to go to an actual store to make a purchase, but at night you might decide to shop online, via the internet or via your phone. A marketer that wants their brand to be the brand that's chosen understands this complex decision-making process operates 24/7, all the time, all day, every day, for 365 days of the year. As a brand, you need to ensure that your brand is being considered in each one of these stages. If your brand falls out of consideration in an earlier stage and never makes it to the purchase stage, you may have a better idea of what is necessary to get your brand to be considered next time. It is important to recognize this decision-making process and understand the strength of your brand at each stage. The different holiday seasons including Easter, Halloween, Christmas, among others, enable retailers to create several different shopping goals. The hope is that consumers will visit their store with the same shopping goals and will be triggered to make a purchase. There are many ways to trigger the purchase occasion that the consumer might not have thought of until the marketer provided that impetus. In today's omni-channel world, one way to create triggers is to create email lists. As many consumers voluntarily provide their email address to retailers and marketers of different brands, the brands will then send out emails that trigger the purchase process. These emails may contain information regarding a special sale, a new product or event and generally, they strongly suggest that the consumer make a purchase. Designed to acquire your email address, the cashier might ask if you would like the receipt printed or emailed to you. Designed to acquire your email address. If you choose to have it emailed, retailers then have your email address. This enables them with their e-mail distribution to provide information that may contain the trigger to initiate a sale. Starbucks is currently running a contest lottery online. Providing them with your e-mail address and entering the code from your receipt allows you a chance for a free food or beverage item per day for 30 years. 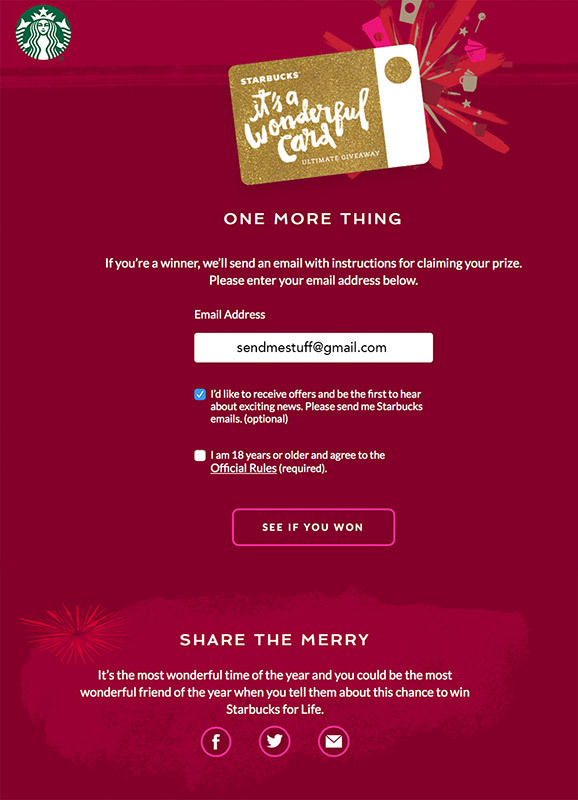 Win or lose, Starbucks now has your email address for future use. This Father’s Day, Unilever's new Dove Men+Care film celebrates men from the very first moment they find out they are going to be a dad. Why? Because we know that showing care is a sign of a man’s real strength. Watch our film to see how care makes dad stronger. Then, share your advice with the #RealStrength. Sometimes after getting your hair cut or visiting your dentist, you may be asked to schedule your next appointment a few weeks or months later as a reminder to you to return and make that purchase again. They are essentially triggering that purchase process. Another way to get people to come in and start shopping is to create a brand new product. The best illustration of this is the most recent upgrades to Apple's iPads and iPhones. A brand new product was developed that no one realized they needed and all of a sudden it became something everybody had to have. Another method to trigger purchasing is to create events. Fashion is an industry that does this often. World famous fashion shows in New York, Paris, and Milan are events where they launch the new styles for the season. This creates a need to own this year's must-have brand new item of clothing. Traditional retailers will schedule gatherings such as a special tasting event or charity event where they create unique situations that encourage the consumer to get involved. Getting involved with that event may also start the purchase process. In today's omni-channel world, marketers create a need by initiating a conversation or dialogue with consumers and shoppers in various social media venues. This is done via Facebook, Twitter, Instagram, or even Vine. There are all sorts of different methods the marketer utilizes to create a dialog with the consumer and to trigger the shopping process. As many brands are eliminated from consideration, it's essential the consumer considers your brand. The consideration set includes the brands or products left after a person has narrowed down their choices based on their own personal screening criteria. How does a brand end up in the consideration set? All brands that exist in the product class are in the entire set, but to get winnowed down to the consideration set, usually involves two different processes. One is brand advertising that creates brand awareness, and that brand gets lodged in the consumer and the shopper's mind. When choosing or considering a brand, the consumer will remember certain brands they've heard of and will consider the brands that they are familiar with through advertising or other promotion mechanisms. Another way a brand gets consideration is in the store. In the store, you may see various brands that are on the shelf, and you'll consider these brands. The brands that you recall from advertising become part of your evoked set. Your evoked set of brands are the brands you are familiar with as a result of advertising you’ve previously seen or heard. Marketers use some kind of trigger or some kind of aided recall to help you remember the brands you may have forgotten but had previously seen or heard of because they understand your evoked set of brands can easily be part of your consideration set. The brands you see and remember in the store become part of your consideration set in two different ways. One way is when you actively search the shelf, and you look for different brands, you may consider different brands that you see through your active search. Brands can also accidentally become part of your consideration set. Maybe there's an item that the store put at the end of the aisle that you had not previously considered and you discovered it by accident, and suddenly that brand is now in your consideration set. This is a critical stage for brands to remain in the consideration set. Brands not in the consumer's consideration set, will not be considered by the consumer. Again in this omni-channel world, there are new opportunities to get brands considered in the set. Not only in physical stores will consumers see what's on the shelf, but today there are more and more kiosks. In addition, stores provide terminals and tablets where consumers can search online. The Anthropologie Store creates opportunities for serendipitous discoveries. Brands become part of the consideration set either by the online and offline experience of a store, the personal recommendations of others or in-store displays. Similarly, if you're shopping online through different kinds of search processes or display ads, a brand can become part of your consideration set. Traditional advertising creates brand awareness. All the big ads that we see create brand familiarity, as the big brands that you are quite familiar with are in your consideration set. For example, Nike might be part of your consideration set for sports shoes, or Coke may be in your consideration set for soft drinks. These are big brands where advertising has created that wide-spread brand awareness. 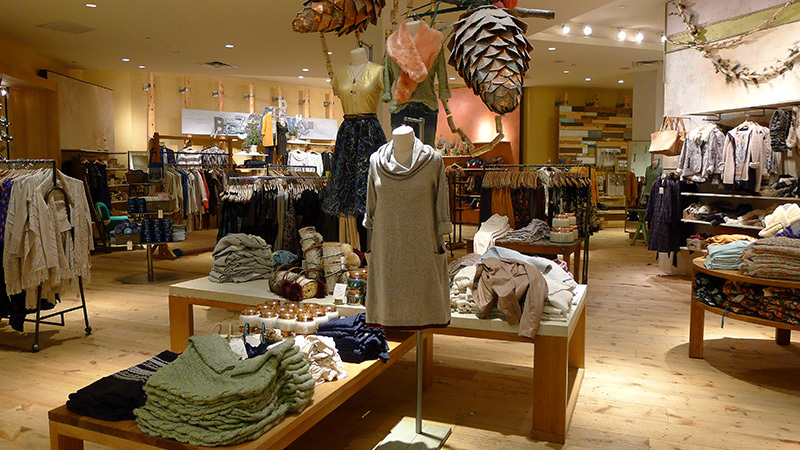 Another way to build brand awareness is in a store. Sometimes we see brands create awareness with their flagship store such as the big beautiful Apple store and the big Ralph Lauren mansion both in New York City. Part of the goal is not only to sell products but to create brand awareness for those brands so that you might consider those brands next time you make a purchase. Online flagship stores also create brand awareness. One of the best online flagship stores that I've recently seen is the Burberry website store. When you're in the market for an overcoat, you might consider the brand Burberry. Another way that consumers or shoppers can identify brands as part of their consideration set is in the store through an external search. What the marketer really needs to pay attention to is what actually drives consumer attention. What will consumers notice? What consumers notice when they go into the store is contingent upon their primary goal for being there. If they come into the store with a taxonomic goal like buying some ketchup, they tend to go right to the category and will tend to buy the brand they've previously considered. On the other hand, if they come into a store like Whole Foods thinking they are going to purchase food for their for dinner, their decision is influenced by what's in the store. Social influences also play a role in identifying brands. Perhaps right before they headed to the store, someone on Facebook had a status that said, I just had a terrific experience in my purchase of “such and such” product. That could sway the customer to make a different purchase than they originally planned. Consumer reviews on Yelp or Urban Spoon can also make a difference. In-store salespeople help make a big difference as to what brands might be put into a shopper's consideration set. Sale representatives may have their favorite brand, and therefore often recommend it to the customer because they can base their recommendation on personal experience. Another way to get customers attention is determined by what you put on the shelf. Creatively you might use different packaging cues, different shelf cues, signs, or you can also use color to get customers attention. It's essential that when you use these different cues that consumers not only pay attention to what you're doing but that they understand it. For example, one very striking way to get consumers attention is to use color blocking. This can be done with packaged goods, and if all the other products in your category are black or white or some neutral color and yours are bright green or bright purple, consumers will pay attention to it. 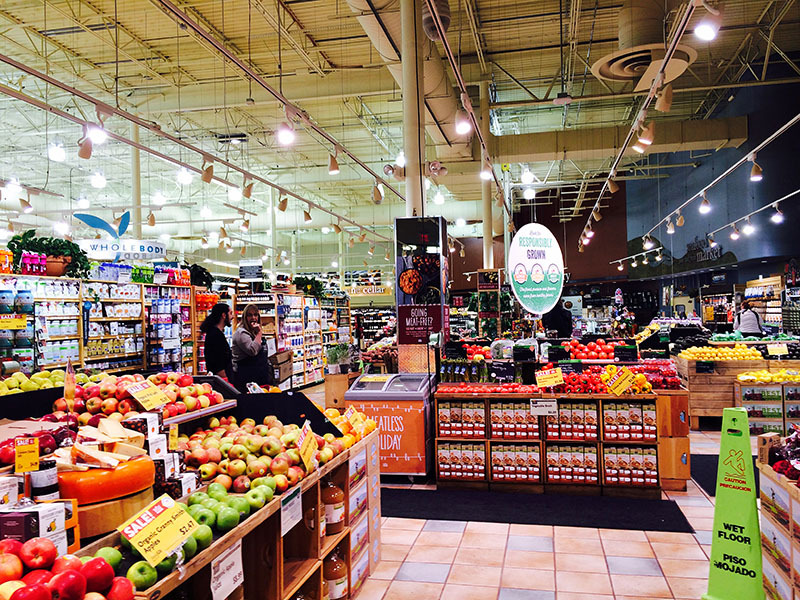 Here in the Whole Foods Market, a lot of attention is given to produce. At Whole Foods color blocking is used very precisely to get consumers attention, and assuring if they catch the customers attention, they're much more likely to consider making a purchase. The packaging also can make a difference and can get consumers attention, but you have to make sure that consumers interpret the packaging appropriately. To illustrate, years ago the Tropicana brand hired a well-known designer to change their packaging to what tested well in the laboratory a beautiful new design for the Tropicana orange juice package. When the consumer went into the store to buy their old familiar packaged Tropicana, they didn't recognize the brand new design and packaging, and because of this, they ended up purchasing a different brand of orange juice. In this instance, the brand fell out of consideration because the brand did not get the consumers attention and the shopper bought something else. 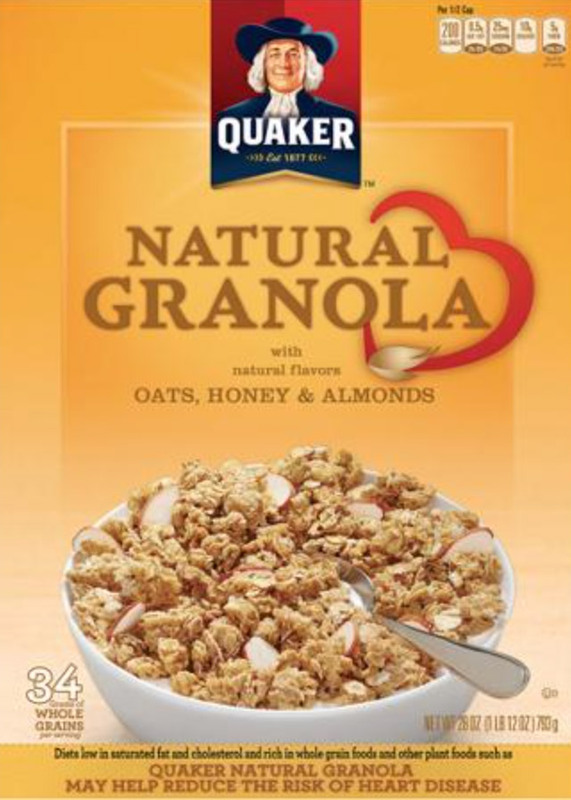 To get the consumers attention and consideration of multiple items within a set or to get the consumer to consider different varieties within a product line, or different price points, consider using various colors within the line by using packaging techniques to indicate the higher priced items, the lower priced items, the natural items, and different flavored items. Sometimes within a product line the higher priced item is gold or silver, the regular item is blue, and the lower item is a different color. Colors may also be used to display different flavors. To indicate whether or not the product is gluten-free or uses organic ingredients shades of tan could be used. In this manner, you can get consumers attention and get them to consider multiple items within a set triggered by packaging design displayed on the shelf. By obtaining brand consideration of consumers, we can influence their buying patterns and hopefully persuade them to purchase our product.